Brothers Golan and Gilad Flam are bumping along a dirt track in their pickup truck as it climbs a grade in the Judean Hills of central Israel. The limestone that dominates one of the country's most promising and beautiful winegrowing regions rises in a dun-colored striated formation around them. Above it, the hills, rich with pines, oaks and scrub, lead almost to the gates of Jerusalem. In this draw at about 2,000 feet above sea level, the hustle and bustle of modern Israel seems distant. The country's largest and most vibrant city, Tel Aviv, lies 30 miles to the northwest, but these hills are indisputably at the country's winemaking frontier. If the truck were to keep going, it would very soon enter the Palestinian territories of the West Bank. It's a quiet and serene landscape that belies the region's violent and storied past. "This vineyard is a great combination of the terra rossa soil and limestone bedrock," Golan says of the site, which is west of the village of Mata. He's the winemaker at his family's namesake winery nearby; he studied winemaking at Piacenza University near Milan and did an internship at Tuscany's Carpineto winery. Terra rossa (Italian for "red soil") is an ochre-colored clay-based mix that is rich with iron oxide and provides the drainage necessary for healthy vineyards; limestone is the geological constituent of some of the world's greatest terroirs, Burgundy among them. One of Flam's top reds is called Classico, and its fruit comes from the Judean Hills, including the vineyard near Mata. A Cabernet Sauvignon-based blend that includes Cabernet Franc, Petit Verdot and Merlot, the 2013 ($35) rated 90 points on Wine Spectator's 100-point scale. Minerally, savory and rich, with plenty of dark fruit flavors, it deftly transmits the soil and climate of the region, as well as the human capital that went into its creation—all the hallmarks of aterroir-driven wine. 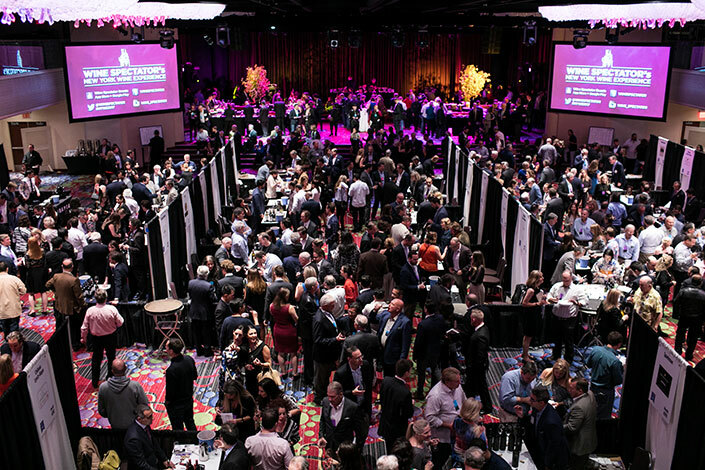 Following a boom beginning in the early 2000s, driven by Israelis' search for quality from their native land and by a dawning appreciation for its wines in both Europe and America, the wine industry in the Jewish state is transforming at a rapid rate. Where overoaked reds and candied whites once dominated, fresher wines are now appearing amid a young and expanding wine culture that is striving to secure its identity. But with only 13,500 acres of vineyards—a little less than one-quarter that of California's Sonoma County—its place on the world stage will remain small for the foreseeable future. Today, Israel produces about 10 million cases annually, and though historically relegated to the kosher aisle, the country's wines can increasingly stand on their own. "I took a tour of Israel's vineyards in March, and I was really impressed by the quality," says Sandy Block, vice president of beverage for the Boston-based Legal Sea Foods restaurant chain. As a result, he recently placed three Israeli wines on the lists of 15 of the 34 restaurants he oversees. "We tried about 10 years ago with an Israeli wine, but it really fell flat," Block explains. "But the wines have gotten better. People today are interested in trying new things, especially the millennials." Customers seeking kosher options remain the principal buyers of Israeli wines, but retailers say there's growing interest among nonkosher buyers. "We see a mix of customers-people who are interested in kosher wines, those familiar with Israel from a tourism standpoint, and those who have read press on the region," says Melissa Devore, vice president of wine buying for Maryland-based Total Wine & More. I sampled more than 100 wines during a visit to Israel this spring and followed up with blind tastings in our New York office. Overall, among the 120 wines I reviewed in official blind tastings, more than 30 scored an outstanding 90 points or higher on Wine Spectator's 100-point scale, the best performance yet from this small nation. For a complete discussion of the most recently released wines from Israel, see my tasting report. Today, and likely for the near term, the preferences of Israelis and the most accessible terroirs will remain firmly rooted in red grapes. But there is a growing consensus among Israel's best winemakers that a new generation of white wines will be an important part of the mix. And based on my tastings—especially of well-structured Rhône-style white blends, minerally Chardonnays and fruity Sauvignon Blancs—the evidence is strong. "The whites stick out more than the reds. We shouldn't make reds," declares winemaker Paul Dubb of Tzuba winery, located within sight of Jerusalem on high-altitude, limestone-rich terrain. His statement is part challenge, part attention-getter. "We do make elegant reds," acknowledges Dubb, who is originally from South Africa, where he grew up in a winemaking family. "But if we are going to make great wines, they will be white." As Israeli vintners have honed their skills in the vineyards and cellars over the past two decades, quality has risen appreciably; wineries are also much better equipped. It's a significant accomplishment for a nation of only 8.5 million people for whom survival, rather than the conviviality of wine, was paramount until recently. Still, per-capita consumption remains low, about half that of the United States, with many Israelis forgoing wine for religious reasons. As a result, vintners must search for markets abroad. Shipments out of the country were up 10 percent in value in 2014 from 2013 and amounted to $40 million, or about 20 percent of Israel's total production, according to the Israel Export and International Cooperation Institute; about half of that went to the U.S. It's difficult, but not impossible, to make a living from wine in the Holy Land. Today, about 250 wineries call Israel home, the vast majority of them mom-and-pop operations encouraged by a nascent interest in wine among the locals and visitors to the country. "Israelis are going more and more to wineries, and so are the tourists, not only to Jerusalem for the history but for a taste of Israel," says Israel Flam, the founding patriarch of his family winery, which opened in 1998. "In Israel, you cannot own land. You lease it long-term. It's a big problem," says Eran Pick of Tzora winery, also in the Judean Hills. With ownership comes responsibility and ultimate oversight. 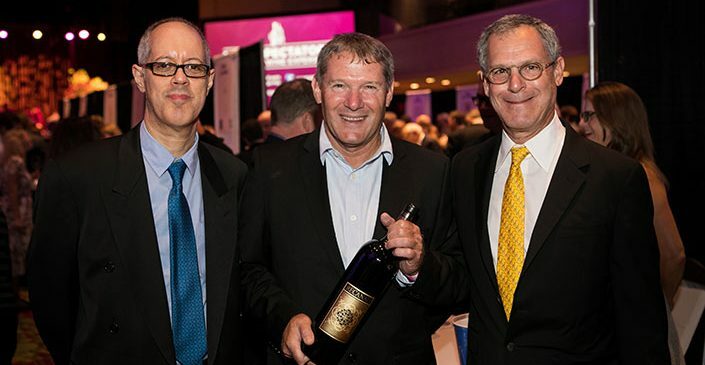 A former military helicopter pilot, Pick makes some of the best wines Israel has to offer, and he is currently the only Israeli to hold the coveted Master of Wine degree. His Judean Hills 2014 white (92, $30), a luscious mix of Chardonnay and Sauvignon Blanc, is a revelation. Tzora's wines have found a place at top Manhattan restaurants such as the Modern, a Wine Spectator Grand Award winner. Tzora's impressive whites are a seeming paradox in a land dominated by the deserts that surround it, from the Negev in the south to the Judean to the east. The prevailing wisdom is that hot climates and white wines don't mix. But in higher elevations, the air cools, and pockets of exemplary quality can thrive if carefully nurtured. The higher altitudes favored by top producers such as Tzora help slow maturation, as do cooling breezes from the Mediterranean, offsetting the strong summer sun at this latitude. In most vineyards, harvest begins in July and is finished by August. Pick epitomizes the new generation of Israeli winemakers. He is a graduate of the University of California, Davis, and has done stages at Château Lafite Rothschild in Bordeaux, Torbreck in Australia and J in California—experiences he shares with many of his peers. "The young winemakers are very knowledgeable and have traveled the world. There's a lot of sharing," Pick says. He's also open to outside advice. Consulting for Tzora is Jean-Claude Berrouet, formerly of Château Pétrus. He's lent a French finesse to Tzora's wines. Pick's wines are kosher, as are most made by Israeli wineries, a trend that has strengthened over the past few years. However, also like most Israeli winemakers, Pick is not certified to make kosher wines without the assistance of an Orthodox observant Jew. This means he cannot touch any of the fermenting wine, barrels or winemaking equipment. Although being kosher provides ready access to an ethnic market in the U.S., home to almost as many Jews as Israel, it doesn't do much to sway most other wine drinkers and has little apparent bearing on wine quality, except for the burdens it imposes on winemakers such as Pick in finding good help. In Israel, the kosher designation is almost mandatory, given rising demand among the religious and nonreligious alike. More important for Pick, however, is the burgeoning reputation of Israeli wines in general. "Up until five or six years ago, [Israeli wines] were on the kosher shelf. Now they are on the Israeli shelf," Pick says. Just a few hundred yards downhill from Tzora, on a chalky slope in the Sorek Valley, sits one of Israel's most unique vineyards. It covers about 7.5 acres and is home to bush-trained Carignan vines, a rarity in Israel, where modern wire-and-trellis setups are standard. Planted in 1991 by an Arab Christian grower, it today supplies grapes for one of Israel's best reds, from Recanati winery. The 2014 Carignan Wild Reserve rated 91 points ($50). Recanati winemaker Ido Lewinsohn stumbled across the vineyard by chance. "I was driving here, and I was working in the Languedoc [in southern France] at the time with bush vines. I said, ‘There are no bush vines in Israel,' but here they were," Lewinsohn recalls. Today, the Recanati team, under the ownership of successful financier Lenny Recanati, is carefully nurturing and replanting the vineyard vine by vine. There's no supplemental irrigation for the vines; a paltry 16 inches of rain falls annually at the site. "We are going to make much taller gobelet," says Recanati CEO Noam Jacoby, using the French term for bush vines. "We are one of the few wineries with dry-farmed surface in Israel. We think this is a good way to stress the vines and make the roots go deeper. The vines are hardier as a result." Production is naturally controlled as well. "The growth rate of Israeli vines is very, very high," given the warm and generally beneficent climate, he explains. "We are the first to make Marawi as a mono-variety. It's a small Jurassic Park type of research project to try and find lost varieties," Lewinsohn says. "The Arabs who were here from the 12th to 18th centuries banned alcohol and winemaking, so the hundreds of native varieties were reduced almost to none." Enologist Eliyashiv Drori of Ariel University, also located on the West Bank, discovered Marawi's ancient origins. He and others have tentatively identified dozens of ancient varieties in the region, sometimes from seeds discovered at archaeological sites. "We are 100 percent certain [Marawi] is a local variety and it is an ancient variety. The grower is a Palestinian Muslim whom we don't have much contact with," says Lewinsohn, who worked for a time at the Italian icon Sassicaia. The grapes are grown near Bethlehem, in the Occupied Territories of the West Bank. Lewinsohn says the grower was found through Drori. The wine's label is printed in Hebrew, Arabic and English in a bid for cultural harmony and accommodation. The 2014 vintage (90, $35) is labeled Judean Hills. "It was important to put the three languages on the label. It doesn't belong to anybody. It's from the land of Israel," says Recanati's head winemaker, Gil Schatsberg, a graduate of the viticultural and enology program at U.C., Davis. "It's stupid to boycott when it's hurting the growers more than us [through lack of sales]," Schatsberg says. "We are looking for identity. We are a new Israeli wine. We want to offer something new to the world." "This is just the beginning," Lenny Recanati says. "When I travel abroad, I try the local varieties. I'm tired of Cabernet, Merlot and Chardonnay. To get noticed, you have to do something different. We make decent wines, but so do many other wineries." Adds Lewinsohn: "The environment now is ready for locality and identity. I think we are living in exciting times in Israel." In 1882, he helped establish Carmel winery, which until the 1980s accounted for 60 percent of Israel's total output and today is the nation's second-largest producer after Barkan, near Tel Aviv. Carmel makes just under a million bottles a year, and its growers farm 3,500 acres, 25 percent of Israel's vineyard total. Rothschild financing helped plant vineyards and build Carmel's historic winery near the village of Zikhron Ya'akov, south of the city of Haifa, which operates to this day and serves as the firm's headquarters. Carmel was set up as a cooperative venture to turn the grapes into wine for collective economic benefit. Carmel had the first electrical system and telephone in Palestine. Three men who would later become Israeli prime ministers worked in its vineyards, including the nation's first, David Ben-Gurion. But as with most wine cooperatives, quality largely took a backseat to quantity so that the firm could make and sell as much wine for its members as possible. "Carmel kept the wine industry going for 100 years, even if there wasn't quality," says Adam Montefiore, who was Carmel's president of marketing until recently. Amid foundering finances, Carmel was sold in 2013 to a group of investors that included American Eagle clothing magnate Jay Schottenstein. The producer is no longer run as a co-op. The head winemaker is Lior Laxer, and since joining Carmel in 2005, he has been overseeing near-constant renovations. 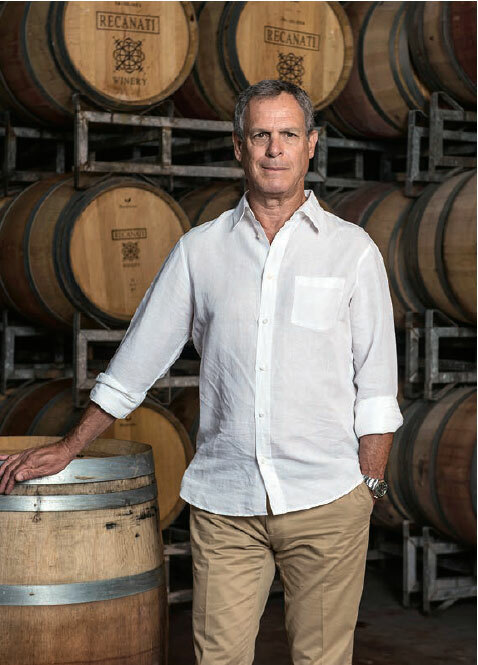 His vision is to make fresher wines, partly by reducing the influence of oak aging and fermentation, which mute the vibrancy in many Israeli bottlings. Judging from preliminary tastings in Carmel's cellar at Zikhron Ya'akov, the results are positive, especially for the whites. "We are moving away from barrels, to vats [both stainless steel and cement]," says Laxer, who trained in Burgundy, staging there and in Bordeaux and Australia. He oversees a team of eight winemakers. "We do struggle to make fresh, fruity wines, but the vats will help. We love the cement tanks because the wine ages much better [in them] than in stainless," he explains. Several cement tanks, up to 5,000 liters in size and some dating to the mid-20th century, have been retooled to that end. "We try to pick really on time," Laxer adds, before the grapes become overripe in the strong Middle Eastern sun. "There's no spring frost or harvest rain here. The main problem Israel faces is the hot winds that come in from the Sahara." Although white wines are creating excitement, reds still dominate vineyard plantings. Many of the original red-grape varieties that were grown at Carmel, most notably Alicante Bouschet and Carignan, were of Mediterranean or southern French origins. They fell out of favor in the 1970s and '80s in the rush to plant more popular grapes, such as Cabernet Sauvignon and Merlot. 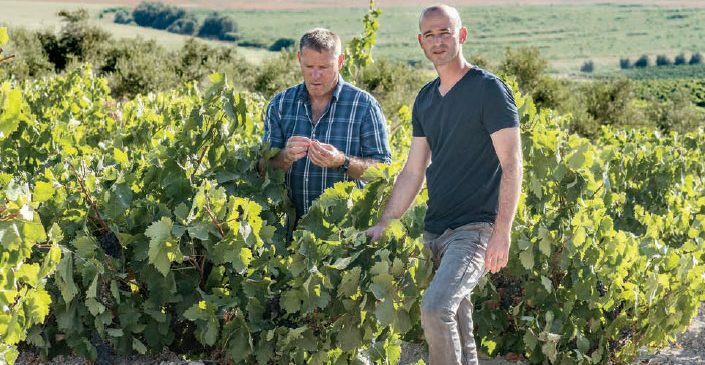 "What's happening in Israel lately is that it's going back to Rhône-style blends," Laxer says. "Mediterranean varieties are something of a newcomer over the past five to six years." Judean Hills vintner Shuki Yashuv of Agur winery cautiously echoes that sentiment. He has made a Syrah-Mourvèdre blend called Layam since 2010; the 2013 scored 89 points ($37). "It remains a niche wine. The Israelis like [Bordeaux] blends, though they are starting to drink Syrah." He may be open to other southern grapes as well. "I have a protégée who is studying varieties from Rhodes and Crete," he says, referring to the Greek islands. Itay Lahat is another talented and knowledgeable enologist with his finger on the pulse of the Israeli wine industry. "We really want to go to more elegance, and since we are in a warm climate, that's a challenge," he observes. "Obviously, we have to go uphill for this." At Ortal winery in the Golan Heights, Lahat both consults and makes his own wines from Ortal's grapes. The land here is within sight of the Syrian border and lies at about 3,000 feet above sea level; the soils are based on volcanic basalts. The Lahat red from 2014 is a blend of 85 percent Syrah and 15 percent Cabernet Sauvignon. It is medium-bodied and very elegant, like a Northern Rhône red. "It's a consensus among winemakers that Syrah is the red for Israel. Stop. Period," Lahat declares. He also sees a future for Viognier. "I think it is one of the best white varieties for Israel," he observes. Political struggles in the Golan and West Bank aside, the status of many Israeli vineyards remains an open question. In a damaging blow, many of the grapevines imported into Israel in the 2000s and then planted were found to be infected with the leafroll virus, which can slowly strangle grapevine productivity and affect wine quality by disrupting ripening. The only known cure is replanting. With that in mind, Golan Heights has established a certified virus-free nursery, complete with hazmat-suit protocols, that will supply growers throughout the nation; in the years ahead, it may become the font for revamping almost half of Israel's vineyards. "I think the style of the wines will be changing because of the new vineyard plantings," says Victor Schoenfeld, the U.C., Davis-trained winemaker and California native who has overseen Golan Heights since 1992. "It's painful, but at least it's an opportunity to upgrade all the vineyards."